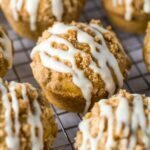 Carrot Cake Muffins – Deliciously moist and fluffy muffins that are perfectly spiced, loaded with grated carrots, and topped with a buttery streusel, and a sweet cream cheese glaze! I absolutely love carrot cake, so it’s no surprise I like to make more desserts with carrots and warm spices. 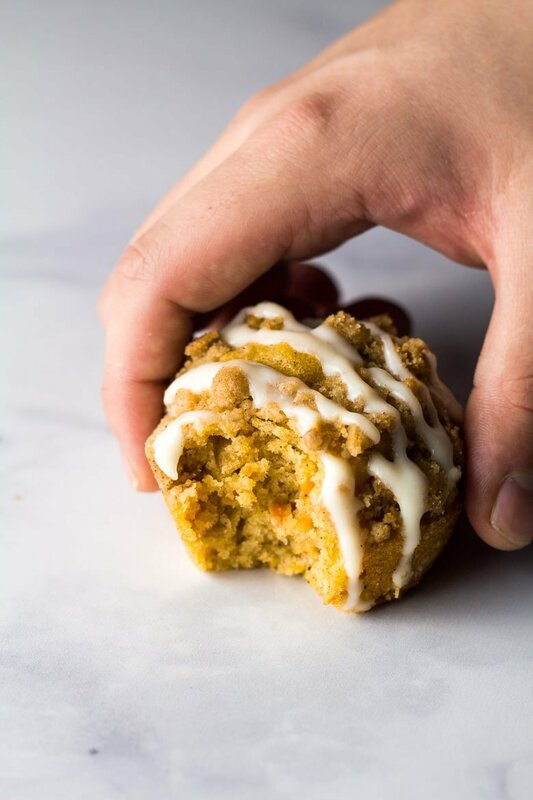 Introducing my Carrot Cake Muffins! 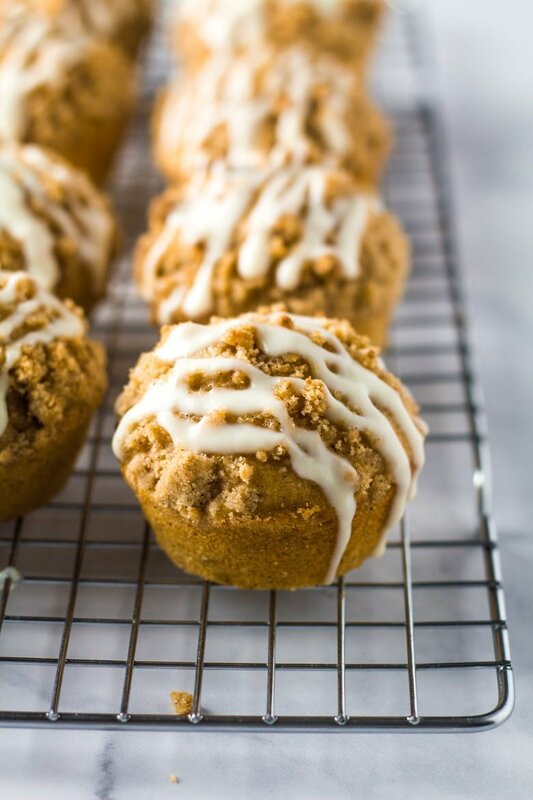 These muffins are incredibly moist and fluffy, they’re perfectly spiced with a little cinnamon, ginger, nutmeg, and cloves, and they are stuffed full of grated carrots. 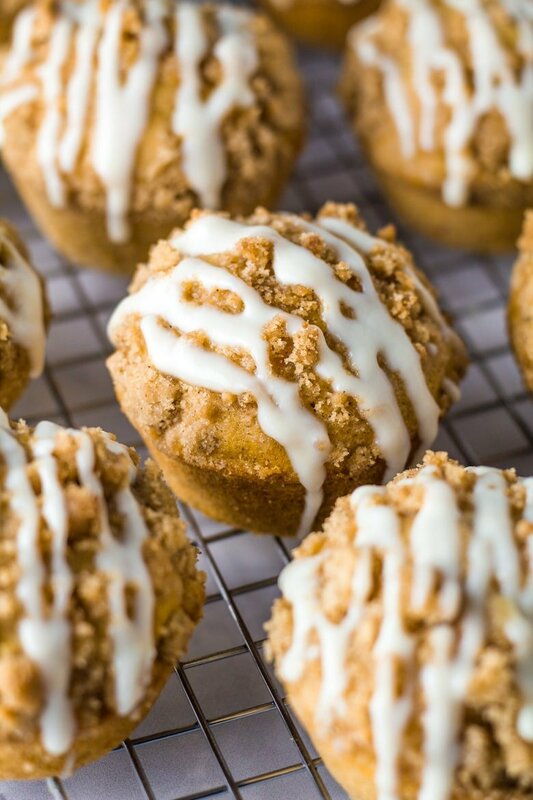 I’ve topped these muffins with a spiced, buttery streusel, and drizzled on some sweet cream cheese glaze. Perfection. Looking for more carrot cake recipes? See my Carrot Cake Loaf, Carrot Cake Blondies, and my Carrot Layer Cake. Buttermilk: See my recipe notes below on how to make your own! Large carrots: You’ll need 2. 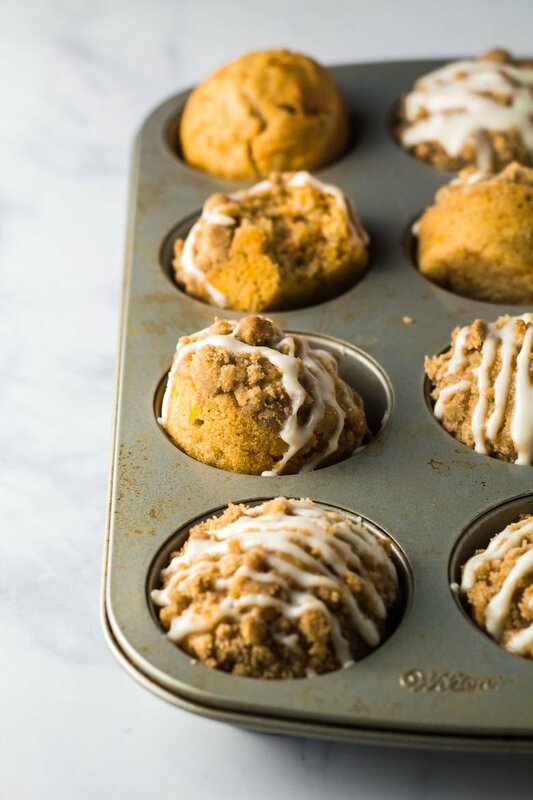 To make these moist carrot cake muffins, start by whisking together the flour, baking powder, salt, and spices. Set aside. In a separate large mixing bowl, whisk together the eggs and sugar until thick and light in colour. Add the buttermilk, oil, and vanilla, and whisk until combined. Add the dry ingredients, in thirds, and fold in until just combined – do not overmix. Fold in the grated carrots. The mixture will be quite thick and somewhat lumpy. For the crumb topping, whisk together the flour, sugar, and cinnamon. Add the melted butter, and mix until evenly distributed and the mixture is crumbly. Spoon the muffin batter into a well-greased muffin pan, filling almost to the top. Sprinkle the streusel mixture on top, gently patting it down. Bake for 15 – 20 minutes, or until a toothpick inserted into the centre comes out clean. Allow to cool for 5 – 10 minutes in the pan before transferring them to a wire rack to cool completely. For the glaze, simply whisk together the cream cheese and icing sugar until smooth and combined. Add the vanilla and milk, and mix until combined. If desired, add more icing sugar for a thicker glaze. Drizzle the glaze over the cooled muffins, and enjoy! How long will these carrot cake muffins last? 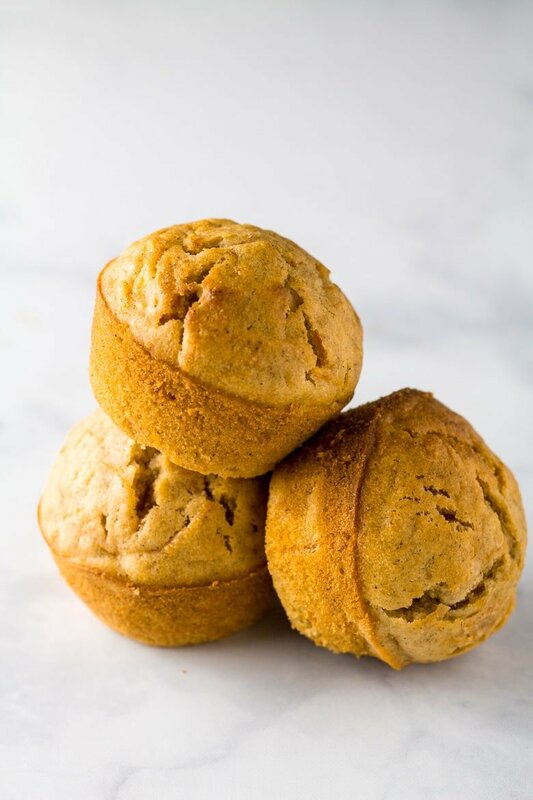 These muffins will stay fresh in an airtight container at room temperature or in the fridge for up to 5 days. Can I freeze these muffins? Yes, they also freeze well for up to 2 months. Thaw overnight in the fridge. 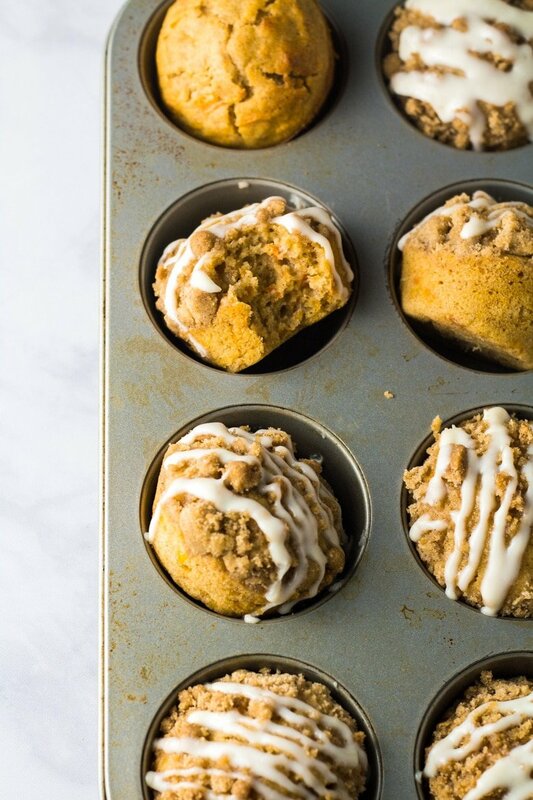 Try these delicious muffins next! 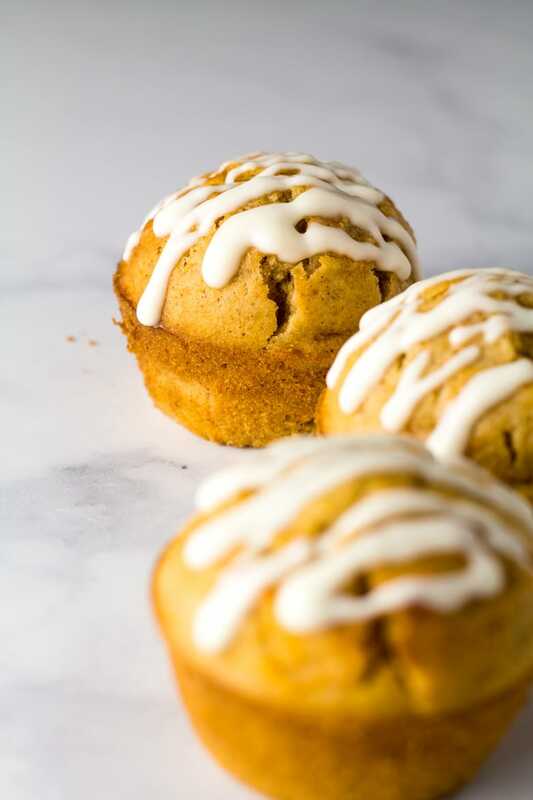 Deliciously moist and fluffy muffins that are perfectly spiced, loaded with grated carrots, and topped with a sweet cream cheese glaze! Preheat the oven to 200C/400F/Gas 6. Grease a 12-hole muffin pan well, and set aside. In a large bowl, whisk together the eggs and sugar until thick and light in colour. Add the buttermilk, oil, and vanilla, and whisk until combined. Add the dry ingredients in thirds and fold in until just combined - do not overmix. Fold in the grated carrots. The mixture will be thick and somewhat lumpy. In a small bowl, whisk together the flour, sugar, and cinnamon. Add the melted butter, and mix until evenly distributed and the mixture is crumbly. Spoon the muffin batter into the prepared pan (fill to the top for very tall muffins), top with the crumb mixture, and bake for 15 - 20 minutes, or until a toothpick inserted into the centre comes out clean. Allow to cool for 5 - 10 minutes in the pan before transferring them to a wire rack to cool completely. Whisk together the cream cheese and icing sugar until smooth and combined. Add the vanilla and milk, and mix until combined. Add more icing sugar for a thicker glaze. *To make your own buttermilk, simply add 1 tablespoon of fresh lemon juice or white vinegar to 1 cup (240ml) of milk. Stir to combine, and allow to sit for 5 - 10 minutes until slightly thickened and curdled. Muffins stay fresh in an airtight container at room temperature for up to 5 days. They also freeze well for up to 2 months. Thaw overnight in the fridge.